Rendering of Casa de la Playa. 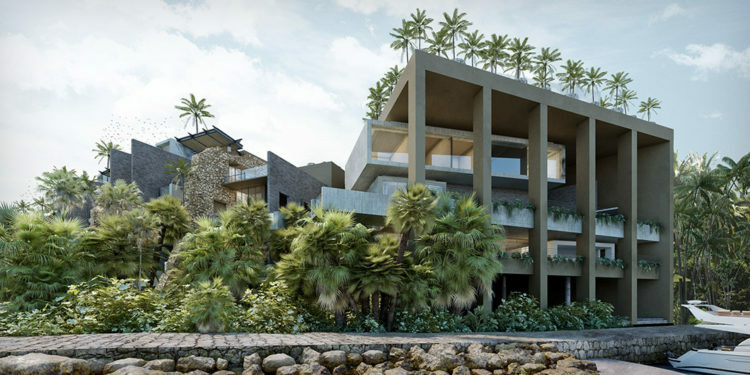 Following the launch of Hotel Xcaret Mexico in 2017, Destino Xcaret has unveiled the brand’s first boutique resort development, La Casa de la Playa. Mexican culture will be infused in the property and guest experience through partnerships with Chef Martha Ortiz, who will offer authentic Mexican cuisine at the onsite restaurant Tuch de Luna, and with designer Carla Fernandez, who will design staff uniforms using her signature style inspired by the indigenous communities of Mexico. Renderings of the rooftop at Casa de la Playa. “Partnering with visionary Mexican artists such as Martha Ortiz and Carla Fernandez represents a unique opportunity to enhance the guest experience and deliver on our promise of creating an experience like no other throughout Latin America,” said Constandse. 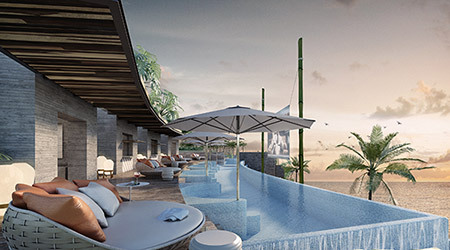 Following an investment of 85 million dollars, La Casa de la Playa, a sustainable boutique hotel, will feature 63 suites with private plunge pools, categorized in three concepts: Nature, Fun and Wellness. The property will also house two pools, a spa, in-room spa services, a mezcaleria, a chocolate confectionary shop, a wine cellar, library and multiple dining destinations. For more information, visit hotelxcaret.com/en and be sure to check out this interview with Destino Xcaret CEO Marco Constandse.